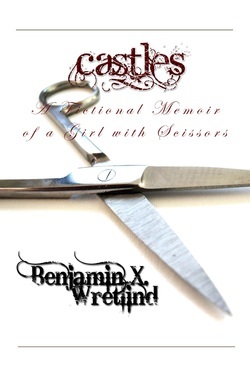 Benjamin ran with scissors when he was five. He now writes. He has been--at different times, of course--a fry cook, range boy, greens maintenance technician, reservations agent, room service attendant, editor, banquet server, meteorologist, instructor, program manager for Internet applications, curriculum developer and simulation engineer. The author of Castles: A Fictional Memoir of a Girl with Scissors and Sketches from the Spanish Mustang, Benjamin has been called "a Pulitzer-caliber writer" with "a unique American voice." 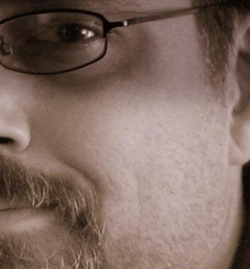 Aside from novels, he has been published in many magazines to include The Horror Express, All Hollows: The Journal of the Ghost Story Society, Horror Carousel and Bare Bones. What would you do to build your castle in the sky? When Maggie was six, she hid from desert storms under the sink where the Comet and Windex were kept. Now twenty, she welcomes the storms. Maggie has been abused, torn apart by the sins of others and constantly feels as if she is living on the verge of some grand epiphany perhaps passed down through her Grandmother, perhaps given to her by God. Then again, she may just be insane. Maggie doesn't know if the four bodies she dismembered and placed inside a rusted Volkswagen Bus are the only bricks left to her castle in the sky, but she hopes you'll understand if they're not. Castles is Maggie's story, a literary horror novel about love and redemption, belief and revenge and what brings a person to madness. He admires the cat's restful state. One day, he too will be able to rest, and perhaps urine and blood will surround him as well—like a blossoming bird of paradise or maybe just a dandelion. It's something to hope for. Maybe he might pray to the God he doesn't believe exists. The dead cat raises its head and looks around. It licks at a spot of blood on its left side, then rights itself in the snow. Tiny footprints disrupt the blood flower. "Are you going to cross or not?" the cat calls out. 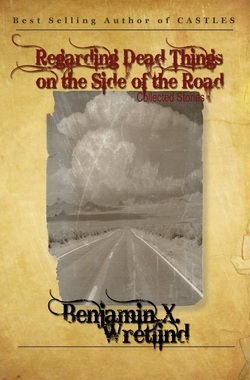 - From "Regarding Dead Things on the Side of the Road"
Benjamin X. Wretlind presents fifteen short stories--some bizarre, some horrific, some soft and quiet like scissors through skin. Some of the stories have been published in magazines like The Horror Express, All Hallows, Horror Carousel and the Bare Bones anthology series, while others have never been published before. There are dreams of fire, blood, twisted metal and faint, dying cries carried on the wind. The Artist has lost far too much in such a short period of time. Her mind is flooded with uncertainty, self-reflection holds no absolution, and she knows her mirror is too difficult to scrutinize. Broken, she hopes to find peace with her one true gift. With a pencil, a sketchbook and a keen eye for the details of the soul, her lines and smudges, curves and tone reveal the stories behind her subjects. Life emerges on the page—vengeance, salvation, love and death. Within a town forgotten, the Artist’s subjects fight for survival, only to be saved in the sketches of a woman with a gift . . . and a curse. 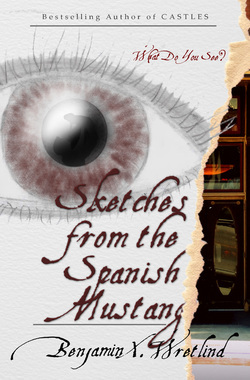 Sketches from the Spanish Mustang is a view into the world of a small Colorado mountain mining town desperately trying to find itself in the 21st century. Focused around a fictional gambling hall and a lost soul, this novel weaves together the lives of ten people, a town desperately in need of purpose and path and a quest for peace.